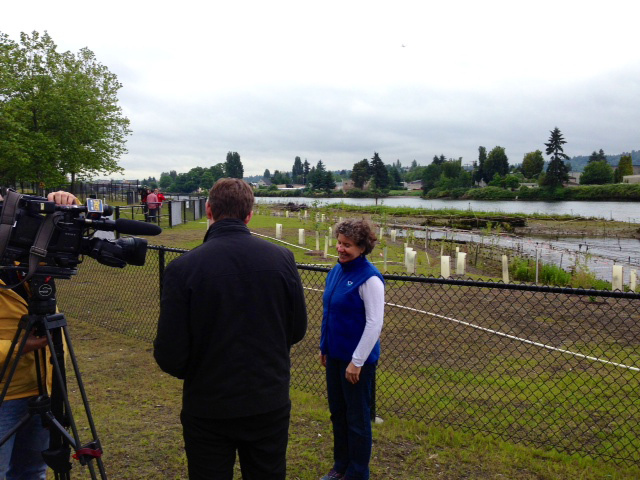 MAY 27, 2014 -- Just south of Seattle, the airplane manufacturer Boeing Company has created one of the largest habitat restoration projects on the Lower Duwamish River. Boeing worked with NOAA and our partners under a Natural Resource Damage Assessment to restore habitat for fish, shorebirds, and wildlife harmed by historical industrial activities on this heavily used urban river. We documented and celebrated this work in a short video. Reshaping the shoreline and adding 170,000 native plants and large woody debris, which provide areas where young salmon can seek refuge from predators in the river. Creating 2 acres of wetlands to create a resting area for migrating salmon. Transforming more than a half mile of former industrial waterfront back into natural shoreline. Why Does this River Need Restoring? 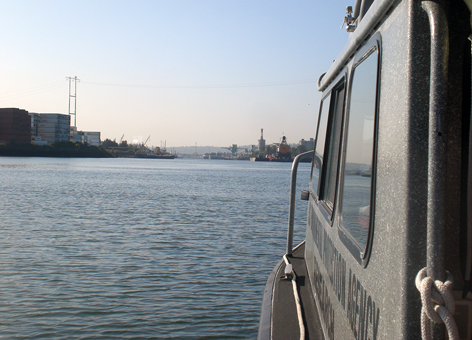 In 1913, the U.S. Army Corps of Engineers excavated and straightened the Duwamish River to expand Seattle's commercial navigation, removing more than 20 million cubic yards of mud and sand and opening the area to heavy industry. But development on this waterway stretches back to the 1870s. Ninety-seven percent of the original habitat for salmon—including marsh, mudflats, and toppled trees along multiple meandering channels—was lost when they transformed a 9-mile estuary into a 5-mile industrial channel. As damaged and polluted as the Lower Duwamish Waterway is today, the habitat here is crucial to ensuring the survival and recovery of threatened fish species, including the Puget Sound Chinook and Puget Sound Steelhead. These young fish have to spend time in this part of the Duwamish River, which is a Superfund Site, as they transition from the river's freshwater to the saltwater of the Puget Sound and Pacific Ocean. Creating more welcoming habitat for these fish gives them places to find food and escape from predators. Fortunately, this restored waterfront outside of a former Boeing plant will be maintained for all time, and further cleanup and restoration of the river is in various stages as well. 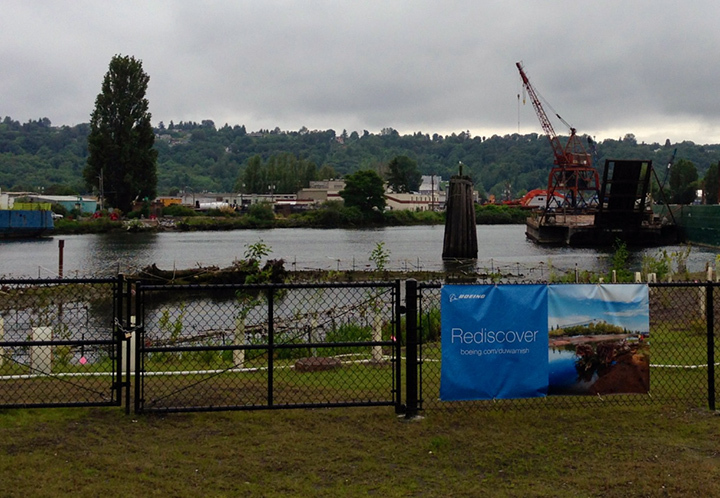 UPDATE 6/17/2014: On June 17, 2014, Boeing hosted a celebration on the newly restored banks of the Lower Duwamish River to recognize the partners who helped make the restoration a reality. Speakers at the event included NOAA, Boeing, the Muckleshoot Tribe, and a local community group. This also gave us the opportunity to share the video "A River Reborn," which was well received.